Parks and Rec. 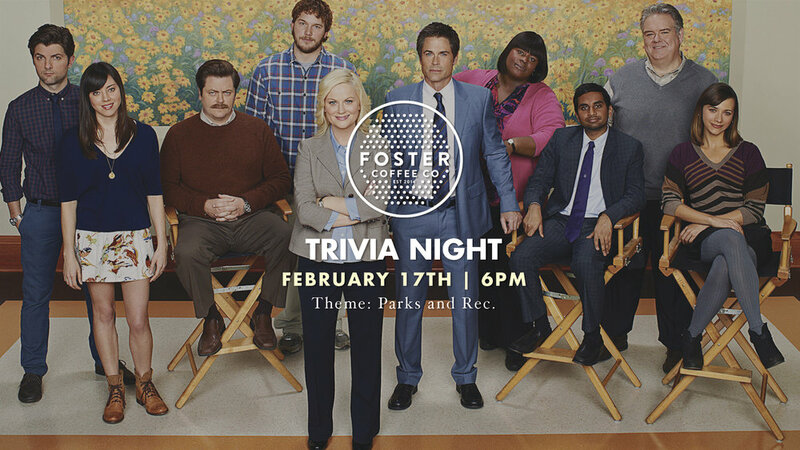 Trivia Night is coming to Foster Coffee Co in Owosso! Bring your friends and family, form your team, and see if you have what it takes to win the Foster Coffee Trivia prize. Max of 5 people per team. We’ll ask several rounds of questions all about the show Parks and Rec (All Seasons). We’ll tally the points at the end and the team with the most points will receive a $5 gift card to Foster Coffee Co for each member of the team. No cost to enter.